Flower-scale is our contribution to “Foodesign”, an exhibition that Guzzini, an Italian home goods manufacturer that specializes in factory-direct kitchenware and other products, organized to think about Japanese food culture from the perspective of design. In Japan, the custom of socializing over food is getting fainter and fainter as more and more people eat by themselves. We created a template for slicing cakes, pies, pizza and other foods that invokes the concept of sharing food with others by helping users to slice these treats into odd numbers of pieces like five, seven or nine that are usually hard to cut. 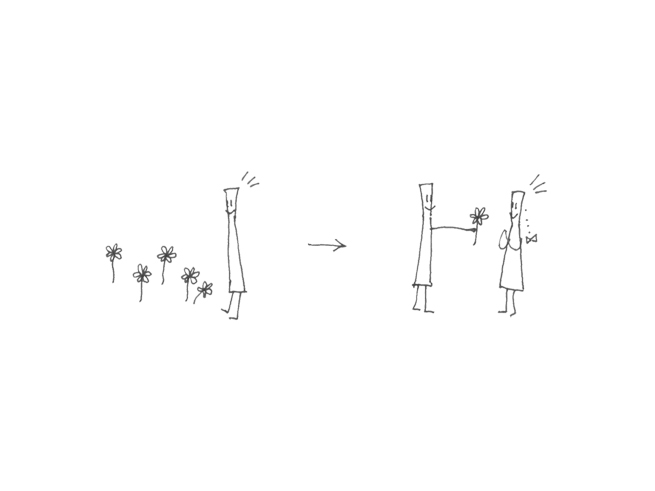 We decided to use flowers as our motif, thinking that they might make users imagine picking flowers from a field to give to someone as a way of expressing feelings. Users hold the flower side to cut cake and other tall treats, and the stem side to cut pies and other thin ones. 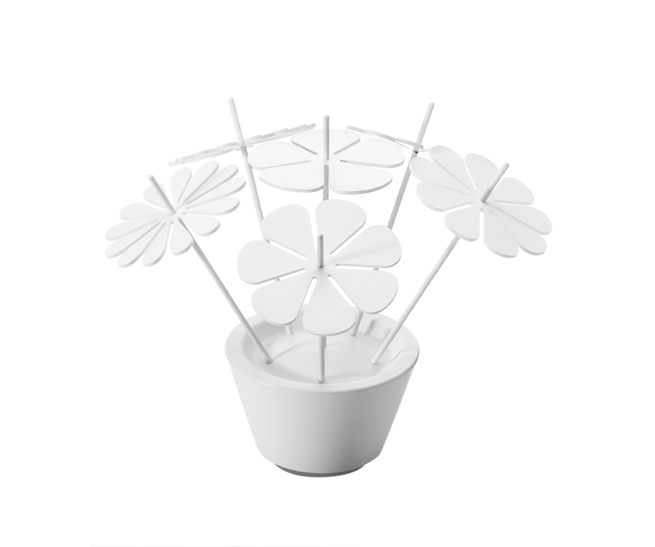 Each flower-scale includes six different types of “flowers” that can serve up to 15 pieces in a flower pot-shaped stand, just like a small bouquet.